England backs itself to win Rugby World Cup. No, seriously. File this under ‘hard to believe it is actually happening’. Where to even start? This will be met with particular incredulity in the United States, where ‘the Feds’ are literally arresting dozens of people involved in the gambling industry. We will get into that another time, but while that’s going on, the English Rugby Football Union (RFU) has actually placed bets on England to reach the late-knockout stages of the forthcoming Rugby World Cup. They are doing this in order to be able to afford the bonus pay-outs to team and staff that would kick-in if England gets that far (semi final or further). The RFU has reportedly placed £250,000 on ‘their boys’ to do the job. You read all of the above correctly, a sporting body is placing wagers with bookmakers on the progress of their national team in one of the biggest sporting tournaments in the World. And no one is batting an eye lid. This is basically akin to Roger Goodell turning up at a bookmaker with a suitcase of NFL cash-money, dropping it on a table and saying ‘Put this all on the Patriots to win the Superbowl next year, we need to cover our administration costs’. Don’t laugh! It’s really not that far off a comparison. England are currently 9/1 to win the 2011 Rugby World Cup. Those who saw them get absolutely hammered in Dublin just a few weeks ago might be thinking, they may as well be 90/1. They are 10/3 to make the final itself, and around even money, depending who you bet with. The RFU incredibly arrogant at the best of times, is trying to pawn this all off as ‘buying insurance’, based on their belief that England are pre-determined to make the late stages of the tournament. No word how much the English cricket board had on themselves to win that tournament..
One major problem and one potentially hilarious pay-off involved here. First of all, on a serious note, what kind of a ridiculously poor precedent does this set for England’s rugby players? If the RFU, the governing body of their sport, is placing wagers, why shouldn’t Joe Punter, Joe Soap, Johnny Rugby-player, be entitled to bet on his sport too? What’s to stop Player A of the Leicester Tigers, confident that his team are going to win and wishing to fund his country side manor lifestyle, placing a wager on his team destroying the opposition that game-day? How do you tell him what he is doing is wrong, when the RFU is doing the same, multiplied by a quarter of a million, literally! The pay-off? The potential for the RFU to lose their bet. We all saw England take an absolute tonking in Dublin, subsequently followed by the cream of English rugby, Leicester, getting unceremoniously dumped out of the Heineken Cup by Leinster a few weeks later. 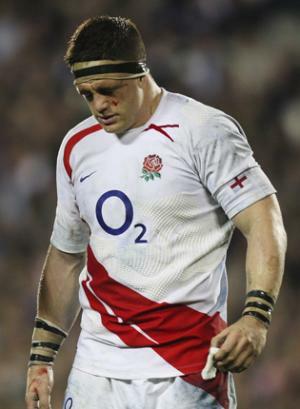 The RFU may be the last to admit it, but English rugby is in no great shape right now. It is incredibly arrogant of them to place bets on themselves to make it deep into the tournament, particularly when they were so roundly beaten off the Dublin pitch not so long ago. There is no way the Sports Karma Gods are going to let them away with this, no sir. File this information away, and have a little chortle to yourself when England are beaten in the quarter finals. You may as well, the Sports Karma Gods will be having a chuckle too. One more, just for giggles..